For those who are new to the financial markets, the question which invariably arises, and which is also a matter of debate among pundits is what exactly differentiates the term “investing” and “trading,” when it comes to the financial markets. To most, there’s no difference, the same, since both investing as well as trading when placed under the microscope of the financial markets, are both performed in a similar fashion. Technically, they’re generally regarded as the same interchangeable action of buying, holding, and selling. But to be precise, to separate the two, there are distinct differences when it comes to their particular scope of definition. Both investing and trading, after all, at their basic root levels is an application of capital spent in the pursuit of profits from the movement of an instrument such as a stock. If you happen to purchase 1000 of ABC stock for instance, you do so because of the expectation to either speculating that the price of the stock will go up in price, or to earn dividends, and most likely both. So what actually separates investing from trading. The distinct difference is that when it comes to trading, generally, there’s an expectation of an exit strategy of the instrument. The reason for taking action when it comes to trading is because it reaches a predetermined price target, or the instrument reaches a specific time that the position is expected to be held for. Either way, the trade is more for speculation and considered to have a finite life. When it comes to “investing” on the other hand, it’s more of an open ended action. An investor will buy a particular company’s stock but with no predefined set notion of when or if they would ever sell the stock. To illustrate, examples are used to better define and demonstrate what the differences are. Warren Buffet is considered an investor, legendary. What he does is he’ll purchase stock of companies which he views as being somewhat undervalued, and will then hold on to his positions for as long as he likes their potential. He doesn’t think in terms of a price of the stock reaching a certain point at which he’ll exit. What he’s doing is taking the fundamental approach. Then there’s George Soros, who’s considered to be a trader. He made headlines of the famous trade he made in the currency market. He went short (sold) the British Pound when he thought that this particular currency was overvalued. He also believed that the pound was ready to be withdrawn from the European Exchange Rate Mechanism. The position which he took was based strictly on a specific technical and fundamental circumstance. Once the British Pound was allowed to float freely which then quickly devalued in the market, what Soros did was he exited his position with an extremely handsome profit. 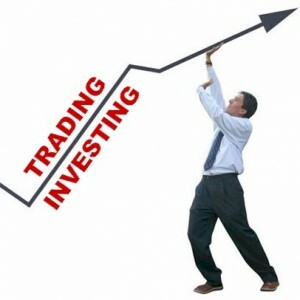 He meets the criteria of a trader having a specific predefined exit strategy, making it a trade, and not an investment. Another way of defining the difference between trading and investing is the predetermined manner in which the capital which is applied is expected to produce a profit return. When it comes to trading, the objective is the appreciation of the capital. Once you buy ABC stock at $10, and then expect it to go up to $15, it produces a healthy capital gain. If interest or dividends happen to be paid out along the way, it’s most likely just a minor contribution when it comes to the expected profits. In comparison, what investing looks more forward to is earning income over time. That the instrument will generate income production, such as dividends along with bond interest payments being the major focal points. Although investors do experience capital appreciation, but unlike their trading counterparts, that usually isn’t their prime objective or motivation. Once the distinctions, the definitions of trading and investing are made using the backdrop of the markets, think what the majority of people would consider their single biggest investment, their home. Based on the definition of investing, a primary home really isn’t generally considered to be an investment, this since in most cases, it doesn’t produce any income for them other than accumulating equity, which usually isn’t the intent. What it does instead is it produces considerable expenses for the homeowner, this in the form of the mortgage interest payments, and the basic upkeep of the house including the utility bills and maintenance, etc. If anything, a home should be considered more as a trade. Purchasing it in the hopes that its value will rise in the future, over time, which increases its worth, which it usually does. This the reason why there are some who expect to live in their new home for just a few years, and will then decide to sell it at that point at a profit, which makes them more of a trader rather than it being an investment. Owning rental property can also be considered an investment, this unless the owners intend to flip it for a profit, which would then be considered trading. As noted, for the majority, investing and trading appears as the same action. Certainly, the mechanics of the buying and selling process of the instrument are the same, but the intent is different. At times, even the analysis which one performs regarding their purchasing decisions can be similar as well. So it comes down to the precise definition and their end objectives and strategy which separates the investing and trading process when speculating.